As Guenther Woodworking continues to grow I’ve been fortunate to be able to add new tooling to the workflow that increase capabilities, speed, and accuracy. 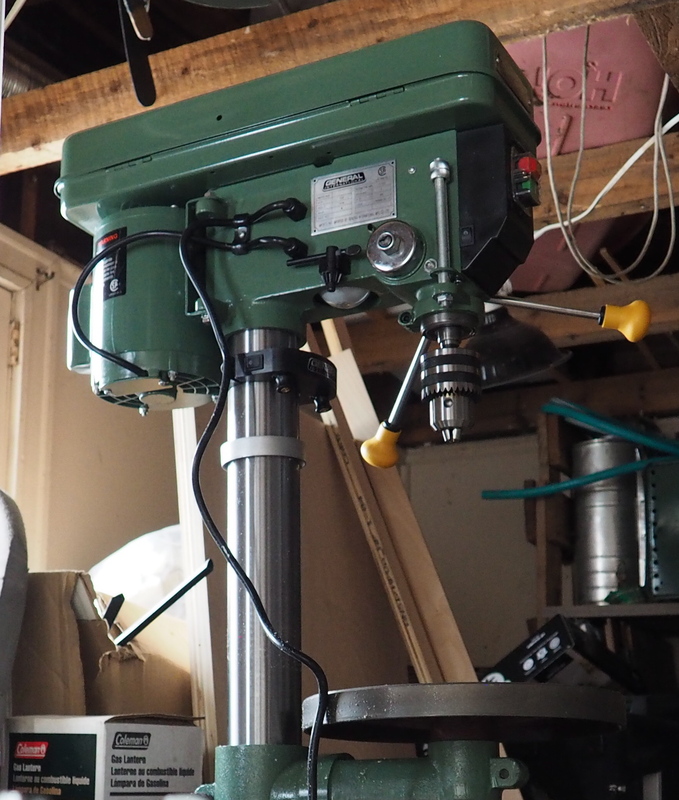 General 14″ benchtop drill press. My most recent project involved a number of tall, narrow doors. 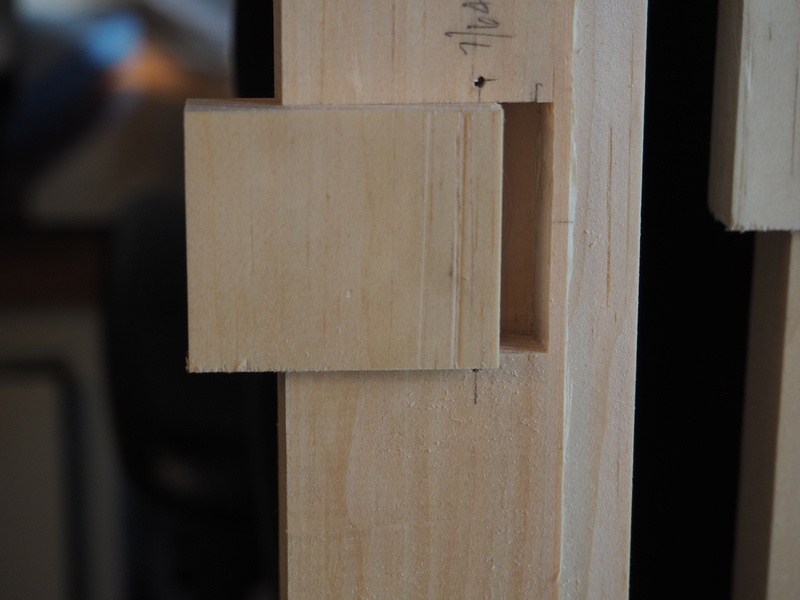 For simplicity’s sake I opted to use 35mm Euro hinges — and a small drill press allowed me to accurately and quickly drill the hinge holes. As a house carpenter I’m always walking the line between absolute accuracy and “git-‘er-done” — in this case the doors and cabinets were fine enough that hinge holes drilled hand-held just wouldn’t be good enough. 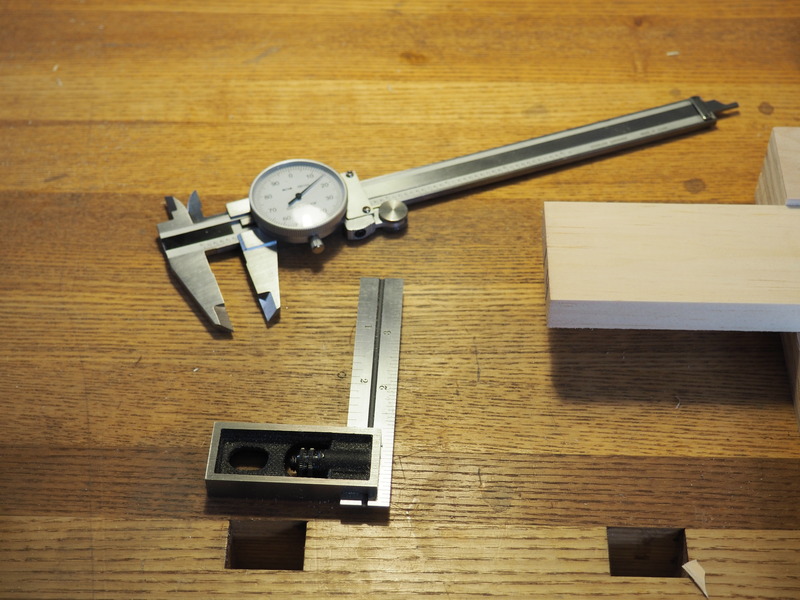 Basic dial calipers and sweet Starrett 4″ double square. New favorites. For some reason I’ve always thought that calipers weren’t necessary for woodworkers. I’m glad that I’ve given them a chance. 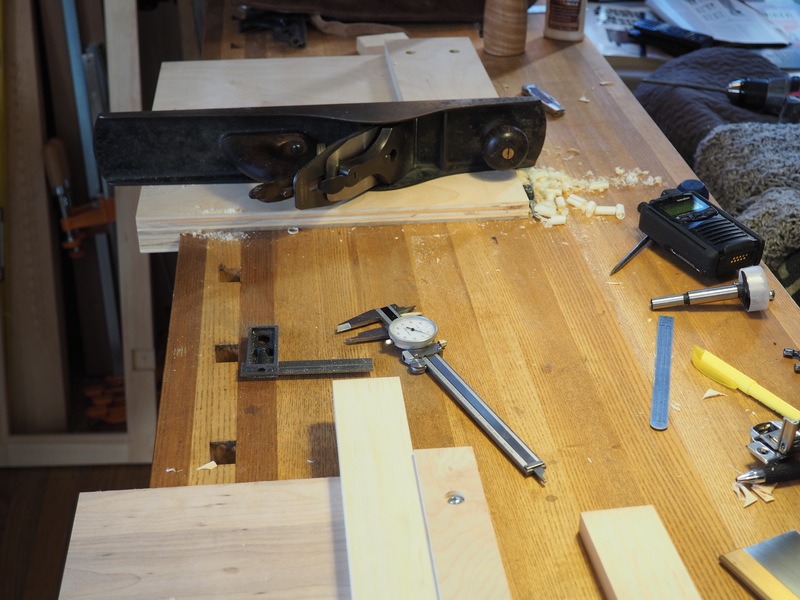 Excitement over the new drill press yielded a few too many (twice as many) bores for hinges. I opted to fill the extras with a square inlay and found that the combined capability for inside/outside measurement afforded by the calipers both sped up my work and allowed for improved accuracy. The four inch double square is a sweetheart, and my new favorite layout tool; absolutely perfect size. I’ve long been aware of Starrett tools but never quite pulled the trigger. Should be a lifetime tool. I’d like to sprinkle a few of these throughout my workshop and toolboxes. Shooting board, 4″ double square, vernier calipers, and new Unication fire pager. Fancy! Shooting board. Another in the long list of “Wish I’d done this sooner”. Simple, quick to build, elegant, and so good at doing one thing well: creating perfectly square ends on handsaw-cut boards. I’ll add miter-shooting capability as I need it. Got my fancy new digital fire pager recently too. There’s the goal: clean, beautiful work done quickly and efficiently. Even though inattention at the drill press created wasteful extra work, I try to approach each task with care, do it well, and learn something in the process. This entry was posted in Woodworking and tagged accuracy, recent work, tools on March 30, 2015 by Isaac Guenther.